Coalition Blog #3 – Welcome to the third National Coalition blog post! Read previous blogs. 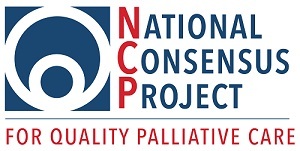 In January 2017, the Gordon and Betty Moore Foundation awarded the National Coalition for Hospice and Palliative Care (NCHPC) and the Hospice and Palliative Nurses Foundation a two-year grant to update the National Consensus Project (NCP) Clinical Practice Guidelines for Quality Palliative Care to be inclusive for all people with serious illness, regardless of setting, diagnosis, prognosis, or age. Building on the success of the NCP Clinical Practice Guidelines for Quality Care, 3rd edition (2013), this two-year project involves national stakeholder organizations, including representatives from a broad range of care settings, accrediting bodies, payers, and community services organizations. Previous versions of the NCP Guidelines were more applicable to specialist level palliative care within hospital and hospice settings, and the new NCP Guidelines will be broadened to encompass palliative care delivery by all clinicians caring for the seriously ill in all care settings. To launch this effort, a NCP Stakeholder Strategic Directions Summit was held June 29-30, 2017 to bring together key national organizations to discuss and define essential elements of quality primary and specialty palliative care services in the community. The Summit was attended by 58 representatives from 43 national/regional organizations, that covered a broad range of care settings, provider associations, accrediting bodies, payers, and community services organizations. The Stakeholder Strategic Directions Summit was the first major step to solicit input for the NCP Clinical Practice Guidelines for Quality Palliative Care, 4th edition (2018). A NCP Stakeholder Summit Summary Report is available to download that captures key themes, considerations, and ideas discussed during the Summit. Also, clinical and operational implications, practice examples, evidence-based references, and a list of specific tools/resources will be provided for each domain. In addition, a systematic review with a formal grading of the evidence is being added to the original project scope to align with the criteria required for inclusion in the Agency for Healthcare Research and Quality (AHRQ) National Guideline Clearinghouse™. With the addition of the systematic review, the publication date for the National Consensus Project (NCP) Clinical Practice Guidelines for Quality Palliative Care, 4th Edition, is set for fall 2018. To stay informed about the latest updates with the 4th edition, visit www.nationalcoalitionhpc.org/ncp-guidelines-2018. Includes representatives from nine member organizations of the National Coalition for Hospice and Palliative Care and representatives from seven other national organizations, and subject matter experts. Please direct any questions regarding the NCP to info@nationalcoalitionhpc.org.